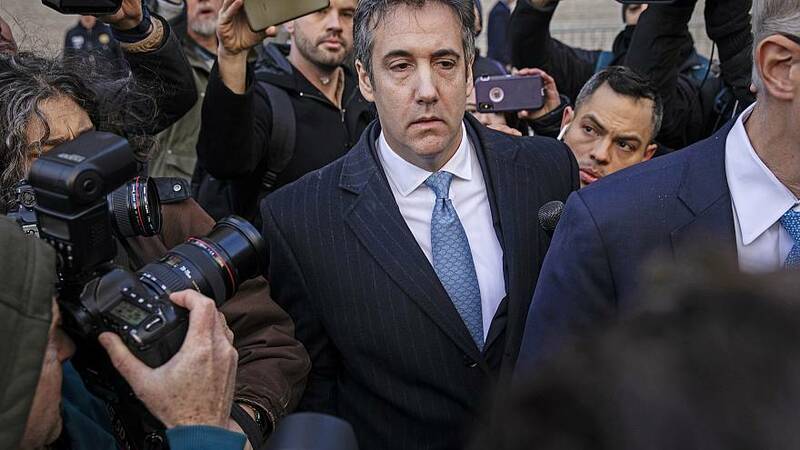 WASHINGTON — Michael Cohen, President Donald Trump's former personal lawyer and fixer, is delaying his public testimony before Congress "due to ongoing threats against his family from President Trump" and members of his legal team, Cohen attorney Lanny Davis said in a statement Wednesday. Cohen, 52, was set to appear voluntarily before the House Oversight Committee, chaired by Rep. Elijah Cummings, D-Md., on Feb. 7. In the statement, Davis cited threats from Trump and Trump's attorney, Rudy Giuliani, "as recently as this weekend," as well as Cohen's "continued cooperation with ongoing investigations" as central to the decision to postpone his testimony. "Mr. Cohen wishes to thank Chairman Cummings for allowing him to appear before the House Oversight Committee and looks forward to testifying at the appropriate time. This is a time where Mr. Cohen had to put his family and their safety first," Davis added. In December, Cohen was sentenced to 3 years in prison for what a Manhattan federal court judge called a "veritable smorgasbord" of criminal conduct, including making secret payments to women who claimed they had affairs with Trump, lying to Congress about the president's business dealings with Russia and failing to report millions of dollars in income.